Anyone besides me have monsters in their classroom? Seriously...pencil monsters, homework monsters, crayon monsters, dry erase marker monsters, sock monsters (oh, wait, that's just at home, I hope)...anyway, these monsters eat pencils, send homework into the abyss, break crayons in half, and mysteriously eat only the caps of dry erase markers and glue sticks leaving only marker and glue to dry out before it's day has truly come. 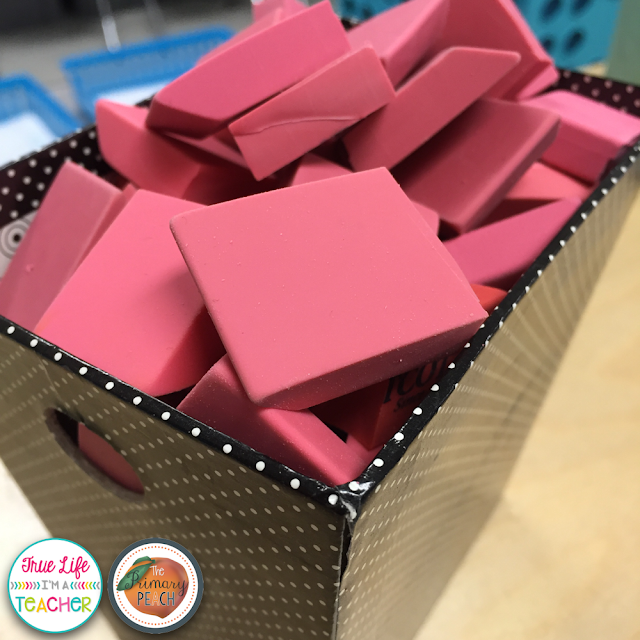 Oh, and erasers? Those babies never stood a chance. 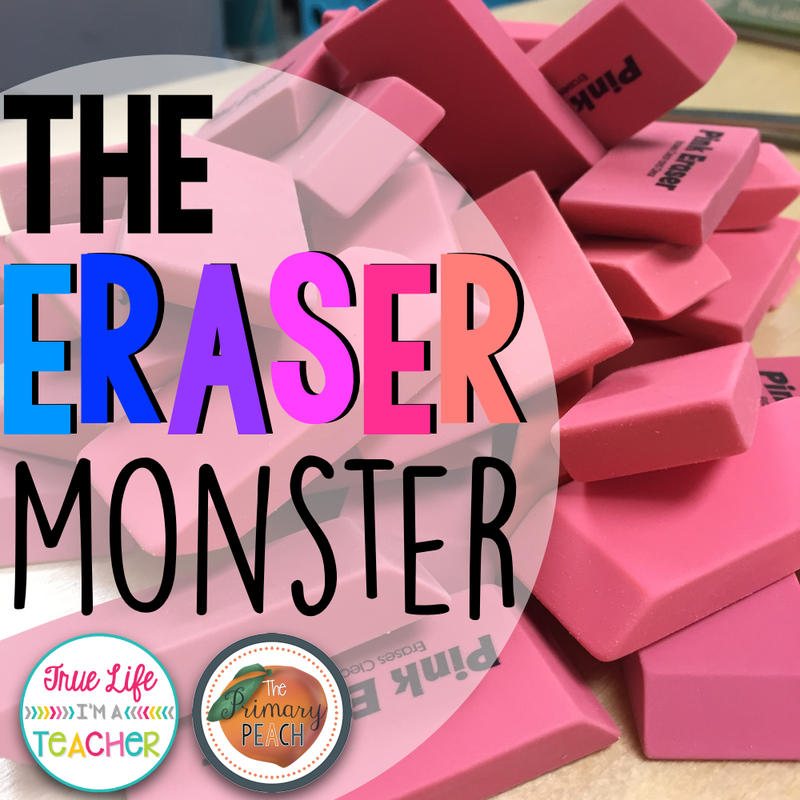 I don't know how to fight off all the monsters (please let me know if you've won the war), but I do know how to make the most of your last remaining erasers! 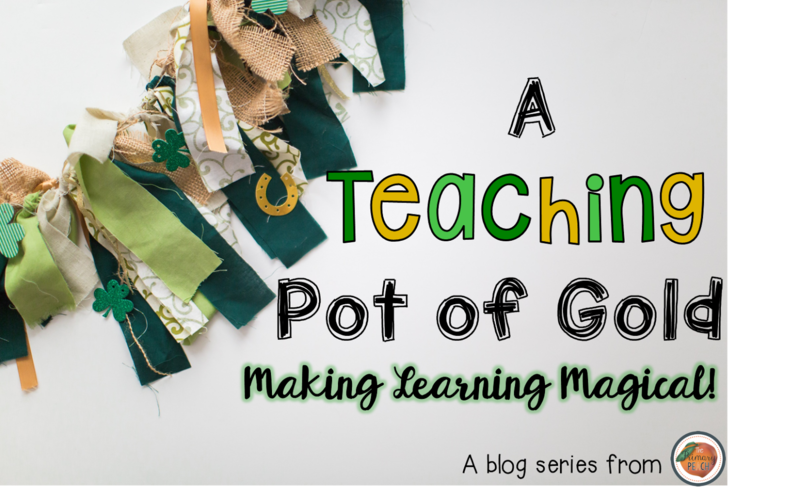 I started using this little trick my very first year teaching, and have been doing it ever since! 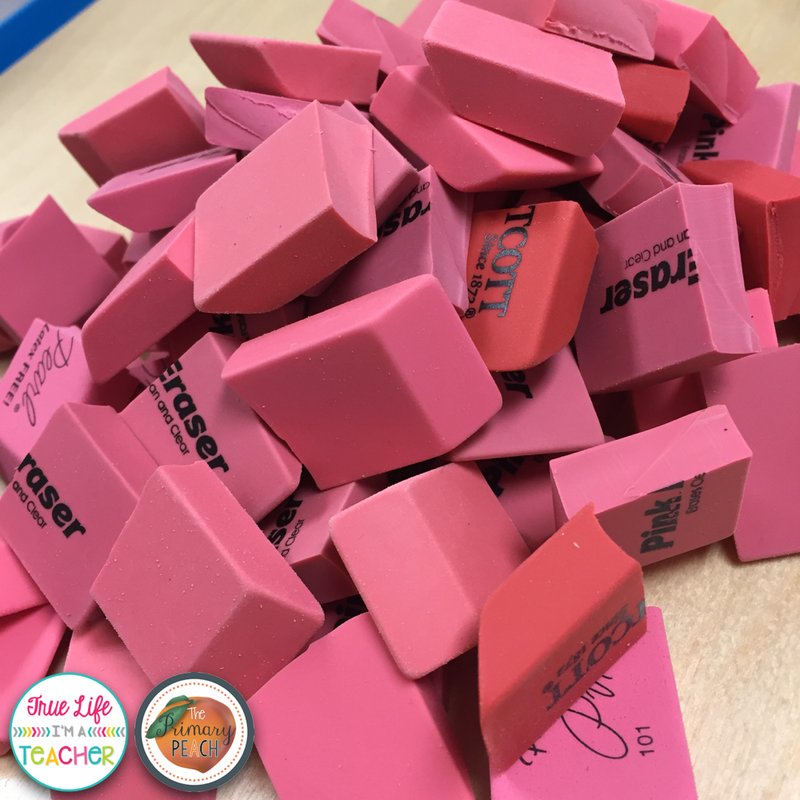 I hate cap erasers. You know, the ones that go on the end of a pencil. Seriously, they're outlawed in my classroom. 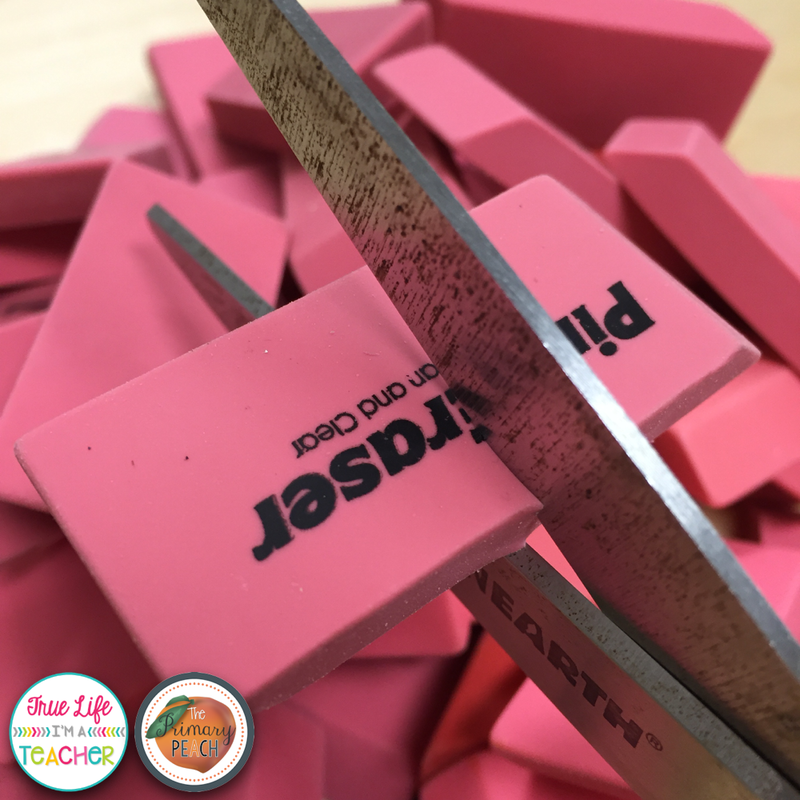 Aside from not using cap erasers, this tip is really quite simple...just cut the erasers in half. That's it. Ta-da!!!! 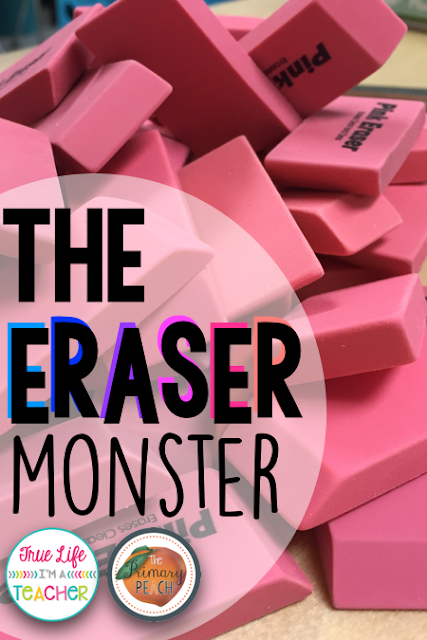 Perhaps a bit anticlimactic, and no it won't actually keep the eraser monster gone, but it will "double" the amount of erasers you have. I keep mine in a cute container near my "pencil station" that I think came from Target's One Spot quite a few years ago. Don't forget to head back throughout March as the Peaches continue to share the magic! Smart! This will also eliminate kids that like to break them in half. Its sad to say this but i feel like you cheaated or more precisely plagerized this from http://college-paper-writing-service.reviews/bestessays-reviews/ because they had something somewhat similar to say on this!